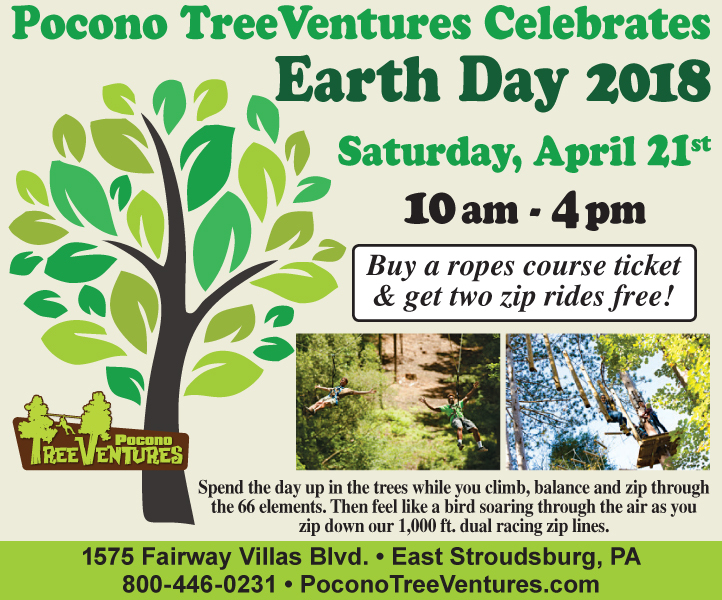 You are here: Home / Event Archives / THIS WEEK in the Poconos…April 21 Has Fun Reaching New Heights! THIS WEEK in the Poconos…April 21 Has Fun Reaching New Heights! 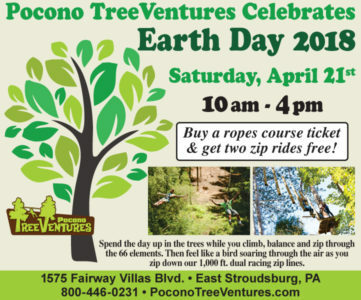 As if you needed an incentive to want to fly, Pocono TreeVentures envisions “two free zip rides” an Earth Day reason why to enjoy April 21 tree-high 10a.m. to 4p.m.. Buy a ropes course ticket to take on this gratis-go and you’ll know just how great aerial adventures can be. 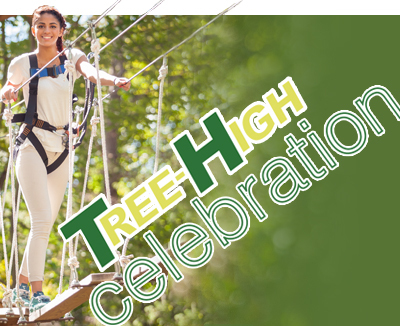 “Climbing through the trees and zipping through the sky is a unique way to celebrate Earth Day,” smiles Tree Ventures spokesperson Loretta Porvaznik. Detailing the Bushkill destination’s thrill seekers throw-in to nature appreciation; she lists 66 elements and five courses with multi-level platforms and various bridges. Plus, safety harness maneuverability enables practically anyone to experience this liberating feel tree-to-tree. Two KidVentures courses also combine ages four to seven in for some fun. While tickets must be purchased in person in order to receive this April 21 Earth Day special; there’s plenty of noon to 4p.m. time Mondays, Thursdays and Fridays, plus 10a.m. to 4p.m. Saturdays and Sundays to prepare for (or repeat) play any day!